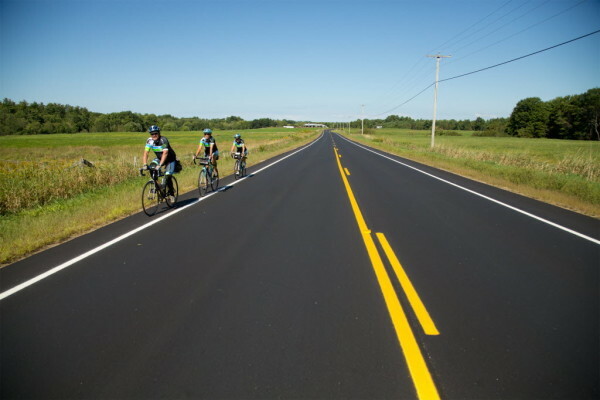 Three cyclists participating in the second annual BikeMaine pedal from Norway to Winthrop on Sept. 8, 2014, on the second day of the weeklong bike tour. Organized by the Bicycle Coalition of Maine, the 2014 BikeMaine attracted riders from 34 states and 5 countries and generated an estimated $395,000 in direct economic impact. In Westbrook on Sept. 7, 2014, 251 bicyclists begin the second annual BikeMaine, a bike tour organized by the Bicycle Coalition of Maine. The 2014 ride attracted riders from 34 states and 5 countries and generated an estimated $395,000 in direct economic impact. 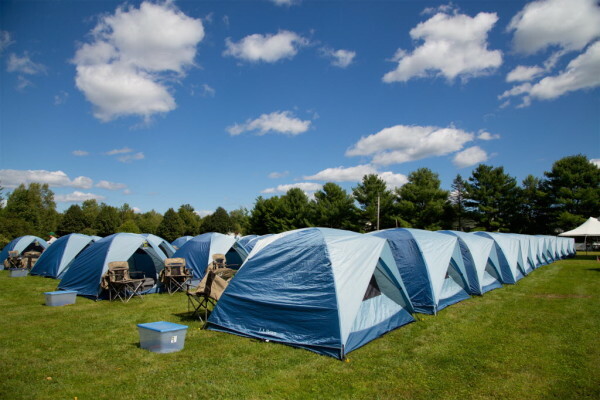 L.L.Bean tents are set up in a field in Norway on Sept. 7, 2014, for the bicyclists participating in the 2014 BikeMaine, a weeklong bike ride organized by the Bicycle Coalition of Maine. L.L.Bean is one of the founding sponsors of the event. 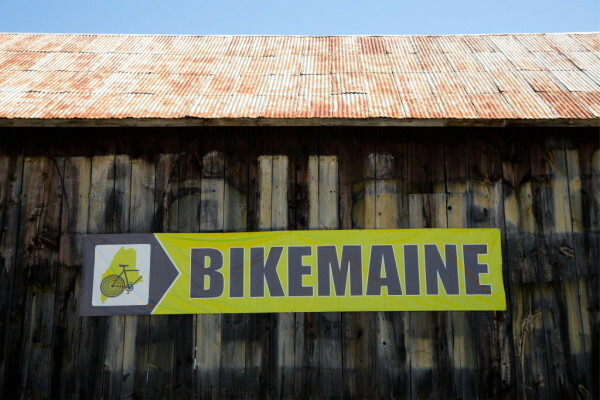 A BikeMaine banner adorns a barn along the route for the 2014 BikeMaine, a weeklong September bike ride organized by the Bicycle Coalition of Maine. The ride attracted riders from 34 states and 5 countries and generated an estimated $395,000 in direct economic impact. 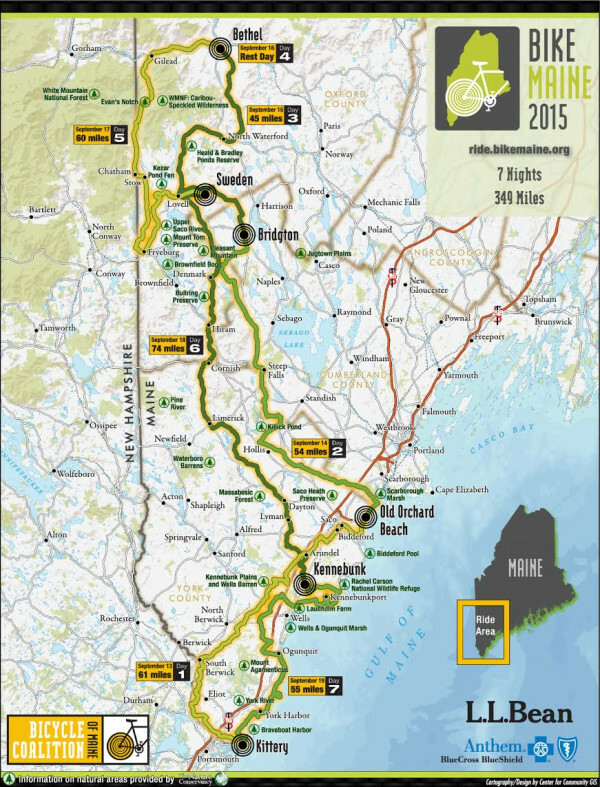 The route for the third annual BikeMaine, a fully supported bike ride planned for Sept. 12-19, 2015, and expected to draw up to 350 participants. 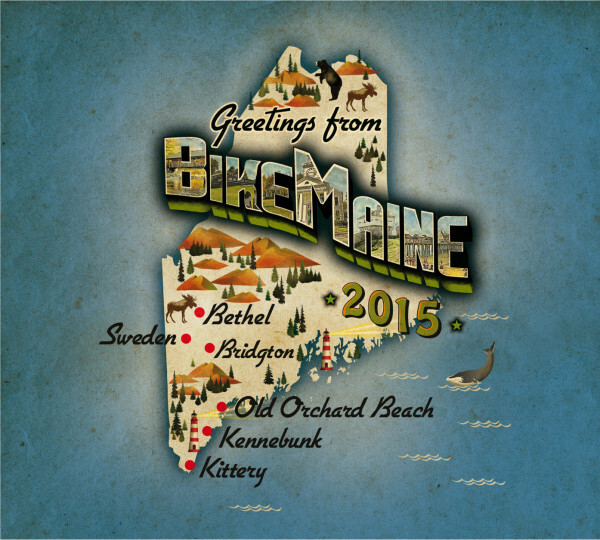 The logo for the 2015 BikeMaine, a weeklong bike ride visiting Maine communities. The third annual BikeMaine, a weeklong ride organized by the Bicycle Coalition of Maine, is set for Sept. 12-19, and it is expected to be the biggest one yet. During the 349-mile tour, an estimated 350 cyclists will pedal throughout southern and western Maine, camping at communities along the way. Each year, BikeMaine takes riders to different regions of Maine. This year’s host communities, where riders will camp, are Kittery, Old Orchard Beach, Bridgton, Bethel, Sweden and Kennebunk, respectively. Each day, participants will pedal an average of 55 miles, with optional 10- to 15-mile loops along the way for those looking to lengthen the ride. Registration is nearly full, with only a few slots left as of Aug. 25. Founded in 2012, BikeMaine is organized by the Bicycle Coalition of Maine — an advocacy group made up of the state’s most experienced cyclists and cycling event planners — with the support of founding sponsors L.L.Bean and Anthem Blue Cross and Blue Shield in Maine, as well as many other sponsors and partners. The event was inspired by Cycle Oregon, “The Best Bike Ride in America,” which started in 1988 and today attracts about 2,000 cyclists from all over the world. One of the priorities of BikeMaine is to positively impact communities and organizations involved. Proceeds of the ride go to the Bicycle Coalition of Maine to improve and strengthen cycling across the state, focusing on those communities featured the tour. Each day, a community along the route hosts the riders for lunch. Each night, another community hosts the riders for dinner, entertainment and camping. Meals are prepared with high-quality local and seasonal ingredients, and the planned entertainment includes music, comedy and dance. “There’s nothing quite like riding into a town and having people standing beside the road clapping and welcoming you wanting to show you their community,” Ishkanian said. The inaugural BikeMaine tour was hosted in 2013, and registration was capped off at 250 riders, which hailed from 37 states and Canadian provinces. The ride generated an estimated $235,000 in direct economic impact. The second BikeMaine, held in September 2014, again was limited to 250 riders and generated an estimated $395,000 in direct economic impact. These grants will boost communities’ biking and walking initiatives, whether its by funding the painting of bike lanes or helping to get a bike committee up and running, True said. 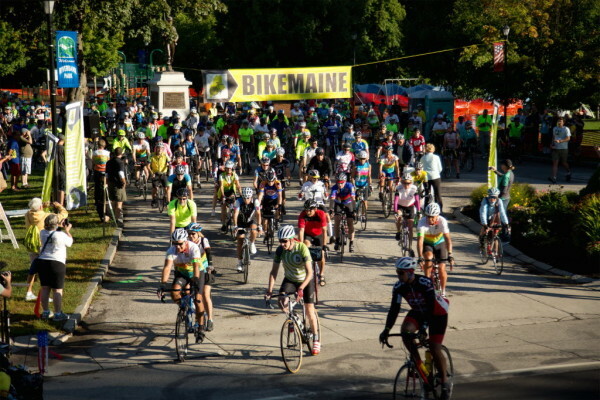 This year’s BikeMaine costs $925 per participant, and registration cap has been extended to 350 cyclists. Each participant will receive three hearty meals a day; course support, including well-stocked rest stops, maps, a signed route, support vans, mechanical and medical assistance, and luggage transport; and the BikeMaine Village, a portable tent city that springs up where the tour stops for the night. The tent village includes hot showers, restrooms, bike mechanics, medical tents and a gathering place for cyclists. And of course, all participants will receive this year’s BikeMaine T-shirt. For information or to register, visit ride.bikemaine.org.